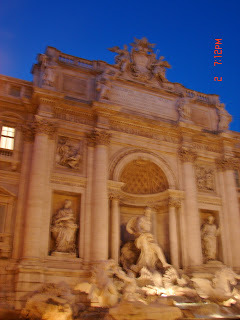 The Trevi Fountain surprised me the most. The Fountain always seemed larger in life in movies, television and in pictures. 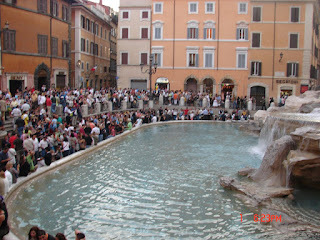 I was surprised by its size and the size of the piazza. 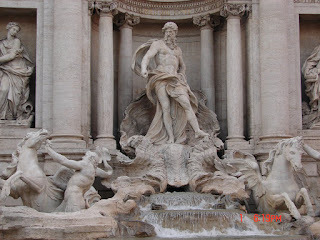 The Fountain depicts Neptune standing on a chariot drawn by winged horses. 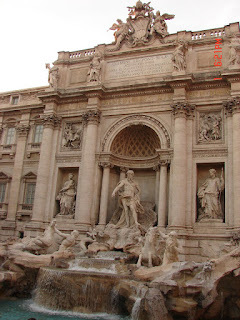 It was completed in 1762 and was actually never a big tourist attraction until the movie, Three Coins in a Fountain. 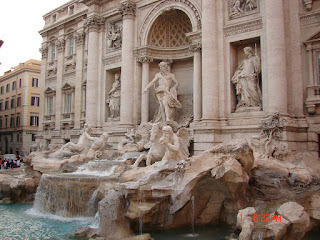 Throwing a coin over your shoulder into the fountain is supposed to ensure your return to Rome. My first attempt hit someone in the head, so I moved closer and had better success.